Shared homes designed to support a flexible lifestyle that values openness, sharing, collaboration and community. open is designed to support living built upon community, flexibility, and a belief that we become as happy and successful as those people that we spend our time with. So at open aim high and surround yourself with successful entrepreneurs, professionals, and creative individuals. Life is better in an intentional community with shared positive values. Join people who believe in work-life integration by finding purpose in what they do. The purpose of open is to create home spaces that support its members to be positive creators and active participants in the world around them. These spaces foster collaboration and support amongst members and the extended community. open homes enable comfortable lifestyles through sharing and the efficient and sustainable use of resources and residential space. open is for people who want a home space that supports them to work and live with purpose and intention. Our members include entrepreneurs, designers, developers, professionals and creative artists. open is a friendly multicultural community. open members have a common interest to collaboratively work from a space, share resources, and coordinate creative activities within the community. cobe homes also offer short-term accommodation and host outward facing events that develop connections to the local startup ecosystem. open homes have shared spaces that foster community and meaningful friendships. Whether for a week, a month, or a year, by joining open - you’ll have a home, friends and a productive place to work. Each unit is fully furnished with living and sleeping areas, a fully equipped kitchen, and a clean bathroom. There are also outdoor spaces for eating, working and relaxing. All within a short walk of Boundary St, West End, Brisbane, Australia. Access to fully furnished air-conditioned spaces with high speed Wi-Fi, Netflix, general utilities, tea and coffee, bathroom supplies and weekly cleaning included within membership fees. open has shared living areas, fully equipped kitchens and free laundry. Private rooms with desks, comfortable queen size beds, fresh towels and linens. The option of convenient month-to-month flexibility. Community support and housekeeping team. Access to all open events and our global community of members. Welcome members and invite them to join in. Enjoy the opportunity to connect with positive people. Share your skills and learn from each other. Embrace change and grow individually and together. Get to know the people around you. Give before you get. Share in what the community has to offer. Live lightly. Value experience over ownership. Respect others, property and space. open has come from Scott Rogers and Keiko Maeno sharing their West End home with faculty and students of University of Queensland since 2008. Scott Rogers is the founder of SODA. Scott has lived in West End for more than 20 years and knows how hard it is to find a good home to live and work from. He has enjoyed providing medical students, faculty staff, and entrepreneurs with high level accomodation in West End since 2008. Scott is an Investor and Panel Member at FundersClub and a Universal Fund member of Watsi. Prior to starting SODA, Scott had a career in software and technology. He was a Software Engineer at Mincom, in Brisbane and later a Software Consultant working at Origin Energy. Scott graduated from QUT with a Master of IT in 2005. 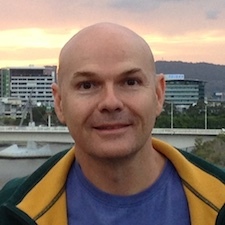 Scott is a digital nomad who has lived in Brisbane, London and Tokyo and he loves Japan, cycling and dogs. 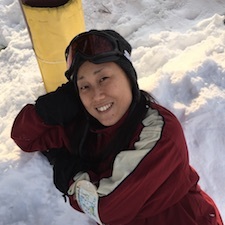 Keiko Maeno is a co-owner with Scott Rogers of the Corbett St home that open is founded in. She has a passion for developing software and technology to improve peoples lives. Keiko is a senior software developer and analyst in Electricity Market and Trading at Stanwell Corporation in Brisbane. Keiko and Scott Rogers purchased the Corbett St. house in 2007 and then spent a year renovating and furnishing it. Since 2008, they have welcomed staff and students of the University of Queensland into the home. Keiko actively helps Japanese friends and families establish their lives in Australia. Keiko graduated from QUT with a Bachelor of IT & Ecommerce in 2005. She speaks Japanese and English and in her spare time enjoys cooking, running and yoga.